Millions worldwide have experienced dramatic changes in their relationships because of the “aha” moments and practical ideas in this little book. Discover how to love your man for who he really is. Shaunti Feldhahn is a popular speaker, best-selling author, and groundbreaking social researcher. Her findings have been featured in media as diverse as Focus on the Family, FamilyLife Today, the New York Times, and Cosmo. With a master’s degree from Harvard University, Shaunti has worked on Wall Street and Capitol Hill. Now she applies her analytical skills to illuminating surprising truths about relationships. She and her husband, Jeff, live in Atlanta with their two children. I hope that For Women Only was used to open your eyes to many new things about the inner lives of men. I anticipate that once the light bulb has come on, that some readers may want to explore these topics in more detail than I could or should cover in my book. There are many people who have made it their life’s work to cover these issues with great skill, and their resources can help you move forward in any number of directions. 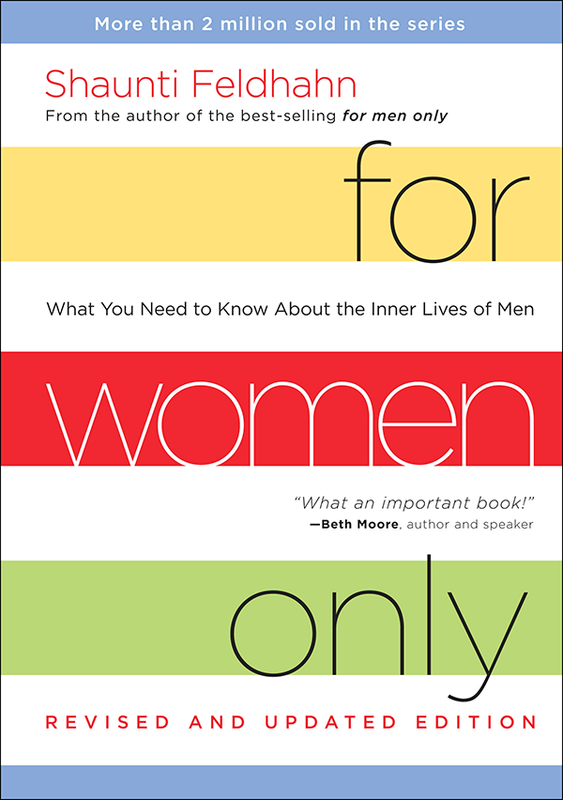 Please visit the Resources for Women page and go beyond the book For Women Only for a variety of audio, video, written and recommended resources on a variety of topics, with a particular focus on helping women understand both themselves and men better or from a different perspective. Please note that in some cases I have not had the opportunity to read all the way through some of these books, or to fully explore all the aspects of the various websites and organizations I’m recommending. As we all know, too, websites are updated and revised over time, which means a site may have content with which I do not completely agree. However, each of these recommended resources is well-respected among those I’ve spoken to, and I feel they are worth a mention.